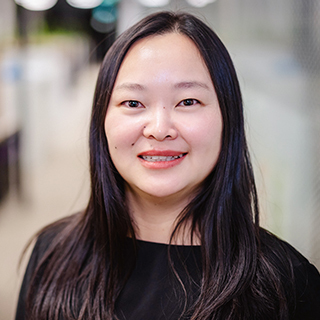 Dr Jiajia Zhou is ARC Discovery Early Career Researcher Award (DECRA) and Chancellor's Postdoctoral Research Fellow at the University of Technology Sydney (UTS). She received her PhD 4 years ago, in Materials Science and Engineering from Zhejiang University, China. After PhD in 2013, she took a Lectureship and joined the College of Materials Science and Engineering at China Jiliang University. She established an independent group and a new materials synthesis lab facility. In 2016, she secured a prestigious Postdoctoral Research Fellowship award from the Natural Science Foundation of China, and moved back to Zhejiang University as a full time researcher to work with her career mentor Distinguished Professor Jianrong Qiu. She was a team leader as well as managing the material synthesis lab and optical characterization lab. At the end of 2016 she joined UTS’s research Initiative for Biomedical Materials & Devices (IBMD). © 2018 The Author(s). Thermal quenching, in which light emission experiences a loss with increasing temperature, broadly limits luminescent efficiency at higher temperature in optical materials, such as lighting phosphors1-3and fluorescent probes4-6. Thermal quenching is commonly caused by the increased activity of phonons that leverages the non-radiative relaxation pathways. Here, we report a kind of heat-favourable phonons existing at the surface of lanthanide-doped upconversion nanomaterials to combat thermal quenching. It favours energy transfer from sensitizers to activators to pump up the intermediate excited-state upconversion process. We identify that the oxygen moiety chelating Yb3+ions, [Yb···O], is the key underpinning this enhancement. We demonstrate an approximately 2,000-fold enhancement in blue emission for 9.7 nm Yb3+-Tm3+co-doped nanoparticles at 453 K. This strategy not only provides a powerful solution to illuminate the dark layer of ultra-small upconversion nanoparticles, but also suggests a new pathway to build high-efficiency upconversion systems. Upconversion nanoparticles (UCNPs) are new optical probes for biological applications. For specific biomolecular recognition to be realized for diagnosis and imaging, the key lies in developing a stable and easy-to-use bioconjugation method for antibody modification. Current methods are not yet satisfactory regarding conjugation time, stability, and binding efficiency. Here, we report a facile and high-yield approach based on a bispecific antibody (BsAb) free of chemical reaction steps. One end of the BsAb is designed to recognize methoxy polyethylene glycol-coated UCNPs, and the other end of the BsAb is designed to recognize the cancer antigen biomarker. Through simple vortexing, BsAb-UCNP nanoprobes form within 30 min and show higher (up to 54%) association to the target than that of the traditional UCNP nanoprobes in the ELISA-like assay. We further demonstrate its successful binding to the cancer cells with high efficiency and specificity for background-free fluorescence imaging under near-infrared excitation. This method suggests a general approach broadly suitable for functionalizing a range of nanoparticles to specifically target biomolecules. © 2018, Editorial Office of Journal of the Chinese Society of Rare Earths. All right reserved. Point of care (POC) diagnosis has attracted much research interest due to its rapid, specific and sensitive detection of biomarkers and pathogens. This decentralized diagnostic approach undoubtedly has huge advantage over laboratory testing at large hospitals or community laboratories regarding cost-effectiveness, healthcare delivery, especially with the emerging and spreading of smart technologies. Among all the materials for POC, lanthanides have become a rising star because of their excellent photophysical properties such as long life time, characteristic luminescence. Here, we focus on the wide-spread platforms of POC diagnostic devices and the applications of lanthanide upconverting materials in this field. With the market and social trend analysis, we will give our future perspective about the applications of lanthanide materials in POC. © 2018 Elsevier Ltd Transparent glass ceramics (TGCs) with minimized scattering loss offer the combined characteristics of both glasses and (transparent) ceramics. The functionalities of the dispered crystals make TGCs a new generation of tailorable optical materials with a wide range of applications from optics to photonics. Most of conventional glass ceramics (GCs), e.g., silicate glass ceramics, contain crystals involving both network formers and modifiers, and they are known for their superior mechanical/thermal performances. In this paper, we pay more attention to those TGCs containing crystalline phases composed of only network modifiers, including nanocrystals of noble metals, metal fluorides, oxides, chalcogenides, etc. We review recent advances in conventional fabrication methods as well as in emerging techniques for the production of TGCs, such as solid state reaction, sol–gel and laser–induced crystallization. We then discuss the applications of TGCs, particularly the TGCs functionalized by crystals that exhibit various optical functionalities, including photoluminescence, optical nonlinearity, plasmonic absorption, etc. Experimental advances in the use of TGCs for lasers, optical amplifiers and different spectral converters are highlighted. We also anticipate that TGCs will find new applications, and the investigations into TGCs will unravel the mechanism of crystal formation, and hence, lead to the discovery of novel TGC systems. Lanthanide-doped upconversion nanoparticles (UCNPs) are capable of converting near-infra-red excitation into visible and ultraviolet emission. Their unique optical properties have advanced a broad range of applications, such as fluorescent microscopy, deep-tissue bioimaging, nanomedicine, optogenetics, security labelling and volumetric display. However, the constraint of concentration quenching on upconversion luminescence has hampered the nanoscience community to develop bright UCNPs with a large number of dopants. This review surveys recent advances in developing highly doped UCNPs, highlights the strategies that bypass the concentration quenching effect, and discusses new optical properties as well as emerging applications enabled by these nanoparticles. © 2018 The Publisher. Efficient photon upconversion is desired for applications ranging from molecular sensing to solar-energy harvesting. Now, the population of hidden triplet state electrons, created on dye antennas and rare-earth-doped nanoparticles, has been amplified to brighten upconversion by five orders of magnitude. Half a century after its initial emergence, lanthanide photonics is facing a profound remodeling induced by the upsurge of nanomaterials. Lanthanide-doped nanomaterials hold promise for bioapplications and photonic devices because they ally the unmatched advantages of lanthanide photophysical properties with those arising from large surface-to-volume ratios and quantum confinement that are typical of nanoobjects. Cutting-edge technologies and devices have recently arisen from this association and are in turn promoting nanophotonic materials as essential tools for a deeper understanding of biological mechanisms and related medical diagnosis and therapy, and as crucial building blocks for next-generation photonic devices. Here, the recent progress in the development of nanomaterials, nanotechnologies, and nanodevices for clinical uses and commercial exploitation is reviewed. The candidate nanomaterials with mature synthesis protocols and compelling optical uniqueness are surveyed. The specific fields that are directly driven by lanthanide doped nanomaterials are emphasized, spanning from in vivo imaging and theranostics, micro-/nanoscopic techniques, point-of-care medical testing, forensic fingerprints detection, to micro-LED devices. Paper-based lateral flow assays, though being low-cost and widely used for rapid in vitro diagnostics, are indicative and do not provide sufficient sensitivity for the detection and quantification of low abundant biomarkers for early stage cancer diagnosis. Here, we design a compact device to create a focused illumination spot with high irradiance, which activates a range of highly doped 50 nm upconversion nanoparticles (UCNPs) to produce orders of magnitude brighter emissions. The device employs a very low-cost laser diode, simplified excitation, and collection optics and permits a mobile phone camera to record the results. Using highly erbium ion (Er3+)-doped and thulium ion (Tm3+)-doped UCNPs as two independent reporters on two-color lateral flow strips, new records of limit of detection (LOD), 89 and 400 pg/mL, have been achieved for the ultrasensitive detection of prostate specific antigen (PSA) and ephrin type-A receptor 2 (EphA2) biomarkers, respectively, without crosstalk. The technique and device presented in this work suggests a broad scope of low-cost, rapid, and quantitative lateral flow assays in early detection of bioanalytes. © 2016The approach of lanthanides doping upconversion temperature sensing exhibits high superiority in bioscience. However, most of the upconversion nanothermometers show their fluorescences temperature sensing beyond biological transparent window (650–950 nm) while suffering from the interference of surrounding environment. Here we report a nanoprobe with ultrasmall size, i.e. -NaYF4:Yb-Tm@CaF2 nanocrystal, which has a sensitive capability to realize NIR-to-NIR temperature sensing. Temperature sensing sensitivities through 3H4 3H6 and 1G4 3H6 transitions of Tm3+ ions are evaluated in temperature region of 313–373 K. The results indicate that -NaYF4:Yb-Tm@CaF2 nanocrystal is a promising candidate for biological temperature sensing. The strong 1830 nm emission is realized in Yb/Tm:NaYF4@Yb:NaYF4 core/shell nanocrystals for the first time. The optimal Tm3+ concentration, shell thickness and composition respectively are 2 mol%, 6.5 nm and inert NaYF4. In comparison with Yb/Tm:NaYF4 nanocrystals, the luminescence intensity of Yb/Tm:NaYF4@NaYF4 core/shell nanocrystals enhances about 160 times. The approach of lanthanides doping upconversion temperature sensing exhibits high superiority in bioscience. However, most of the upconversion nanothermometers show their fluorescences temperature sensing beyond biological transparent window (650–950 nm) while suffering from the interference of surrounding environment. Here we report a nanoprobe with ultrasmall size, i.e. -NaYF4:Yb-Tm@CaF2 nanocrystal, which has a sensitive capability to realize NIR-to-NIR temperature sensing. Temperature sensing sensitivities through 3H4 3H6 and 1G4 3H6 transitions of Tm3+ ions are evaluated in temperature region of 313–373 K. The results indicate that -NaYF4:Yb-Tm@CaF2 nanocrystal is a promising candidate for biological temperature sensing. © 2017 American Chemical Society. The growing applications of upconversion nanocrystals in bioimaging, therapeutics, and photonics have given rise to a demand of high quality nanocrystals with desirable luminescence intensity. Although the design of optimal nanocrystals such as core-shell nanostructures has improved the intensity, the internal links between dopant concentration balance, epitaxial growth protection, and shell thickness effect encounter a compromised situation that lacks of integrated consideration and comprehensive assessment. Here we propose an integrated strategy based on a core-shell design for the enhancement of upconversion luminescence intensity. Epitaxial protection can enable higher activator accommodation capacity in limited spatial scale, which leads to an Er 3+ concentration threshold improvement in -NaYF 4 core-shell nanocrystals from 2 to 6 mol %. We further perform a comprehensive assessment of the nanocrystals with convincing performance improvement in ensemble spectroscopic intensity, upconversion quantum yield, and single nanocrystal intensity. Our findings provide improved understanding of electronic behaviors in multiphoton upconversion and opportunities for diverse applications requiring high quality upconversion nanocrystals. The key to produce inorganic heterogeneous nanostructures, and to integrate multiple functionalities, is to enhance or at least retain the functionalities of different components of materials. However, this ideal scenario is often deteriorated at the interface of the heterogeneous nanostructures due to lattice mismatches, resulting in downgraded performance in most hybrid nanomaterials. Here, we report that there is a narrow window in controlling temperature in a Lewis acid-base reaction process to facilitate epitaxial alignment during the synthesis of hybrid nanomaterials. We demonstrate a perfectly fused NaYF4:Yb,Tm@ZnO heterogeneous nanostructure, in which the semiconductor ZnO shell can be epitaxially grown onto lanthanide-doped upconversion nanoparticles. By achieving a matched crystal lattice, the interface defects and crystalline grain boundaries are minimized to enable more efficient energy transfer from the upconversion nanoparticles to the semiconductor, resulting in both enhanced upconversion luminescence intensity and superior photoelectrochemical properties. This strategy provides an outstanding approach to endow lanthanide-doped upconversion nanoparticles with versatile properties. Rare-earth doped upconversion nanocrystals have emerged as a novel class of luminescent probes for biomedical applications. The knowledge about their optical stability in aqueous solution under different pH and temperature conditions has not been comprehensively explored. Here we conduct a systematic investigation and report the emission stability and reversibility of typical NaYF4:Yb3+,Er3+ nanocrystals and their core–shell nanostructures in aqueous solution at different temperatures and with different pH values. These nanocrystals show reversible luminescence response to temperature changes, while low pH permanently quenches their luminescence. With the addition of inert shells, with thicknesses ranging from 1.5 nm to 8 nm, the emission stability and reversibility change significantly. Thicker inert shells not only lead to a significant enhancement in the emission intensity but also stabilize its optical responses which become less affected by temperature variations and pH conditions. This study suggests that upconversion nanocrystal-based sensitive temperature and pH sensors do not generally benefit from the core–shell structure usually recommended for enhanced upconversion luminescence. 40-Fold enhancement of upconversion luminescence in a single NaGdF4–LiF hybrid nanowire is reported, along with a series of unique characteristics. These include four-photon upconversion from Er3+:2P3/2 excited state, a low excitation power threshold, and high optical-imaging resolution by waveguiding excitation compared to free-space spot excitation. Hexagonal-phase NaYF4: Yb3+, Er3+ nanoparticles (NPs) have been widely used as the most efficient NIR-to-visible upconversion (UC) luminescent and probe in bioscience. Here, we exploited not only the function of dual-mode emission of -NaYF4: Yb3+, Er3+ NPs in the near infrared (NIR) and visible regions with single wavelength excitation at 980 nm, but also the function of physiological temperature sensing with the luminescence of Er3+ in the visible region. The structural and optical characteristics of -NaYF4: Yb3+, Er3+ NPs were obtained using X-ray diffraction (XRD), scanning electron microscopy (SEM),and fluorescence spectral measurements, respectively; the mechanism for the energy transfer has been suggested with emphasis on the optimized Er/Yb concentration for most efficient UC. Due to the UC and down-shifting NIR properties, we achieved the dual-functional nanoparticles with potential application in physiological range temperature sensing and bioimaging simultaneously. This work reports the mid-infrared emission properties around 2.85 m in Ho3+/Yb3+ codoped germanate glasses. The glass not only possesses considerably low OH absorption coefficient (0.24 cm1), but also exhibits low phonon energy (790 cm1). A large spontaneous transition probability (36.66 s1) corresponding to the Ho3+:5I65I7 transition has been calculated based on the Judd–Ofelt theory. Besides, a broad 2.85 m fluorescence has been successfully observed and a reasonably model has been proposed to unravel the origin of the broadening emission band. Moreover, the peak emission cross sections of the glass is as high as 9.2×1021 cm2, and the maximum gain per unit length at 2.85 m could be as high as 4.3 dB/cm. Results indicate that the prepared germanate glass is a promising candidate for 2.85 m mid-infrared laser materials applications. A highly Dy3+ doped (10 mol%) fluoroaluminate glass was successfully fabricated by melt-quenching method for the first time. The intensity of 2.86-m emission increases with the Dy3+ ions concentration without fluorescence quenching because of the large dispersibility of Dy3+ ions in this glass network without clustering. Radiative and emission parameters were calculated based on the Judd-Ofelt theory, which show that the 10 mol% highly doped sample possesses a high calculated spontaneous transition probability (32.01 S-1) together with a large emission cross section (5.94 × 10-21 cm2) of Dy3+: 6H13/2 6H15/2 transition. In addition, the increasing Qt (t = 2,4,6) values, which caused by a complex outermost electron configuration of Dy3+ ions, have been further discussed to analyze the partial glass structure. Upconversion, an anti-Stokes process converting two or more low energy photons into a high energy photon, has received much attention due to its wide applications ranging from photonics to medicine. As a nonlinear optical process, the efficiency of upconversion is inherently low, which strongly limits the applications of upconversion. Here we report the enhancement of upconversion luminescence in NaYF4: Yb, Ho nanoparticles with a pulse magnetic field. The intensity of emissions from 5S2, 5F4 5I8, 5F5 5I8 and 5S2, 5F4 5I7 transitions has been increased 1.71, 1.93, 1.68 times respectively. The enhanced emission has been ascribed to the enhanced energy transfer from Yb3+ to Ho3+ with increasing magnetic field intensity. Besides, the magnetic–optical hysteresis behaviors of upconversion luminescence intensity have also been observed when the magnetic field was scanned from 0 T to 40 T. This is connected with the sluggish kinetics of spin re-orientation of the paramagnetic lanthanide ions in the pulse magnetic field. The magnetic field modulated upconversion luminescence demonstrated here might provide a new approach to enhance the upconversion efficiency. Single-band red upconversion (UC) emission of Er3+ has been successfully achieved in Yb3+/Er3+ codoped KMgF3 nanocrystals via a nonequivalent substitution strategy, in which lanthanide ions probably aggregate, as evidenced by density functional theory calculations and upconversion dynamic processes. The aggregation of Yb3+/Er3+ would cause large cross-relaxation probabilities among the lanthanide ions when photo-excited, resulting in the disappearance of the green emission and the population of the red emitting level of Er3+. Interestingly, the single-band feature is independent of the dopant concentration and pump power. The possible UC mechanism is discussed in detail according to nanocrystal morphology, ion radii, lattice parameters and decay lifetime studies of the Yb3+–Er3+ doped analogous compounds (KMgF3, KZnF3 and KCdF3). It could be concluded that Yb3+/Er3+ ions tend to aggregate in KMgF3, resulting in the largest ratio of red to green UC emission. This research may give a perspective toward tuning the UC emission of lanthanide ions. Upconversion nanoparticles (UCNPs) have made a significant and valuable contribution to materials science, photophysics, and biomedicine due to their specific spectroscopic characteristics. However, the ensemble spectroscopy of UCNPs is limited because of the electronic behavior in average effect, which ignores the fact that these nanoparticles are heterogeneous. With regards to the research focus on heterogeneous intrinsic structures, unique photophysical phenomena, and advanced applications, the optical characterization of single UCNPs have been promoted to the frontier development of the UCNPs community. In this review, we give an overview of the importance of single UCNPs characterization, typical principles of UC, and single particle detection methods. Considerable emphasis is placed on the specific spectroscopic study of single UCNPs, which shows fantastic photophysical phenomena beyond ensemble measurement. Parallel efforts are devoted to the current applications of single UCNPs. Er3+ activated germanate glasses modified by La2O3 and Y2O3 with good thermal stability were prepared. 2.7m fluorescence was observed and corresponding radiative properties were investigated. A detailed discussion of J–O parameters has been carried out based on absorption spectra and Judd–Ofelt theory. The peak emission cross sections of La2O3 and Y2O3 modified germanate glass are (14.3±0.10)×1021cm2 and (15.4±0.10)×1021cm2, respectively. Non-radiative relaxation rate constants and energy transfer coefficients of 4I11/2 and 4I13/2 levels have been obtained and discussed to understand the 2.7m fluorescence behavior. Moreover, the energy transfer processes of 4I11/2 and 4I13/2 level were quantitatively analyzed according to Dexter's theory and Inokuti–Hirayama model. The theoretical calculations are in good agreement with the observed 2.7m fluorescence phenomena. Results demonstrate that the Y2O3 modified germanate glass, which possesses more excellent spectroscopic properties than La2O3 modified germanate glass, might be an attractive candidate for mid-infrared laser. Upconversion, an anti-Stokes process that converts two or more lower energy photons into a higher energy photon, has been paid growing attention due to its wide range of applications ranging from photonics to bioscience. This process, however, suffers from poor efficiency which strongly hampers its application and commercialization. We show here that the upconversion luminescence of NaYF4:Yb,Er nanoparticles can be modulated by the magnetic field and an enhancement of upconversion intensity by a factor of 2.5 is obtained at 20 T. The increased upconversion luminescence is interpreted in terms of enhanced energy transfer from Yb3+ to Er3+ and the enhanced non-radiative transition from 4S3/2 to 4F9/2 and 4I11/2 to 4I13/2 of Er3+ ions. In addition, continuous spectral broadening and shift of f–f transitions with increasing magnetic field intensity are observed, which are ascribed to the Zeeman effect and the difference in the g factor of Zeeman levels. The results demonstrated here may open a new gate towards the modulation of the excited state process by the magnetic field. Oxyfluogermanate glasses with good thermal stability were prepared by melt-quenching method. The investigation of 2.7m fluorescence spectra and energy transfer mechanism was performed pumped by an 808nm laser diode. The 2.7m radiative transition probability and emission cross section are 32.62s1 and 12.88×1021 cm2, respectively. The energy transfer parameters between 4I11/2 and 4I13/2 levels were calculated by Inokuti-Hirayama and Yokota-Tanimoto's model to further elucidate 2.7m fluorescent behaviors. It is found that the energy transfer mechanism among Er3+ is mainly dominated by dipole-dipole interactions. Results indicate that the prepared oxyfluogermanate glass is a promising candidate for mid-infrared laser applications. Ho3+ activated fluoroaluminate glasses were prepared successfully via melt-quenching method. Not only 2- and 2.85-m emissions but also 4-m emissions were observed for the first time by 900-nm Ti: sapphire laser pumping. The optimal midinfrared emissions were obtained when Ho3+ concentration reaches 1 mol%. Spectroscopic properties and energy transfer mechanism of Ho3+ were investigated in detail. Results indicate that the prepared glasses possess high midinfrared transmittance (90%), large emission cross sections at 2 m (7.6 × 10-21 cm2), 2.85 m (17.6 × 10-21 cm2), and 4 m (6.87 × 10-21 cm2) together with superior gain properties. It is suggested that Ho3+ activated fluoroaluminate glass is an attractive candidate for midinfrared laser materials application. Luminescence from crystals is often anisotropic and it leads to the polarization behavior of luminescence from single crystalline particles, as exemplified here with the upconversion luminescence from a single NaYF4 nanodisk. Nanodisk aggregates exhibit polarization dependent luminescence with different polarization degrees, which depends on the orientation and distribution of nanoparticles. Er3+ activated germanate glass with good thermal stability was prepared. Bonding parameters have been calculated and the nature of ionic bonding of the germanate glass has been determined. Mid-infrared fluorescence was observed and corresponding radiative properties were investigated. For Er3+:4I11/24I13/2 transition, high spontaneous radiative transition probability (30.09 s1), large emission cross section ((14.84 ± 0.10) × 1021 cm2) and superior gain performance were obtained from the prepared glass. Besides, energy transfer processes concerning the 2.7 m emission were also discussed in detail. According to simplified rate equation and Dexter's theory, energy transfer microscopic parameters were computed to elucidate observed 2.7 m emissions. Results demonstrate that the prepared germanate glass possessing excellent spectroscopic properties might be an attractive candidate for mid-infrared laser or amplifier. Harvest of near infrared (NIR) radiation in photovoltaic devices is highly desirable as it is recognized as a potential pathway to break the Shockley–Queisser limit of solar conversion efficiency. Here, (Y2O3:Yb–Er)/Bi2S3 composite films with photoactive current generation under NIR light excitation were fabricated by electro-deposition and a simple successive ionic layer adsorption and reaction (SILAR) method. The composite films consist of homogeneous crystalline particles of Y2O3 with a lamellar morphology covered by Bi2S3 nanoparticles. Upon excitation by a 980 nm laser, the Y2O3:Yb–Er layer in the composite film converts NIR photons into visible emissions through upconversion, which is absorbed by the covered Bi2S3 nanoparticles and leads to the generation of photoelectrons. With the use of a standard electrochemical cell where the composite film serves as the photoanode, we demonstrate robust photocurrent generation in aqueous solution. This study suggests a promising strategy for the harvesting of NIR radiation in solar cells, photocatalysts, and infrared photo-detectors. Saturation excitation of individual nanocrystals represents a powerful strategy to explore unique optical characteristics of luminescent activators. Here we report the intense multiphoton upconversion of -NaYF4: Yb3+–Tm3+ individual nanocrystals benefiting from the perfect ladder-type electron configuration of Tm3+ under saturation illumination excitation. This leads to a luminescence switching between the emissions from 2-photon upconversion and 4-photon upconversion, which exhibits significantly enhanced luminescence intensity by up to a factor of 70. Such intense multiphoton upconversion may have potential application in super-resolution imaging. Yb/Er co-doped KMnF3 nanocrystals (NCs) exhibit strong single band emission centered at 660 nm, which is beneficial for bio-imaging application. It is known that the bio-distribution, clearance rate, and elimination pathway of intravenously injected NCs are strongly associated with the particle size. Here, we provide a novel method to modify the size of Yb/Er:KMnF3 NCs by introducing Zn2+ in the initial solution. Through changing the concentration of Zn2+ (0–30 mol%), the size of Yb/Er:KMnF3 NCs with cubic phase KMnF3 can be easily tuned from 8 nm to 18 nm. Interestingly, the Zn2+ ions were not incorporated into the lattice structure or adhered on the surface of the final NCs; they just helped the growth of Yb/Er:KMnF3 NCs. Combined with the upconversion emission spectra results, we can provide a direct evidence for the size-dependent upconversion luminescence on account of the final NCs with different sizes having the same components, shape, crystal structure and crystallinity. This work reports the mid-infrared emission properties around 2 m in Ho3+/Yb3+ codoped germanate glasses. The glass not only possesses good chemical durability and good thermal stability but also has high mid-infrared transmittance around 2 m (90%). In addition, the glass possesses considerably low OH content (20.45 ppm) and large spontaneous transition probability (103.38 s1) corresponding to the Ho3+:5I75I8 transition. Moreover, the measured lifetime of Ho3+:5I7 level is as high as 7.68 ms, and the quantum efficiency at 2 m can reach 79.4%. The energy transfer processes of Yb3+:2F5/2 level and Ho3+:5I6 level were quantitatively analyzed according to the rate equation. Results indicate that the prepared germanate glass is a promising candidate for 2 m mid-infrared laser materials applications. We report on the persistent luminescence of SrAl2O4: Eu2+, Cr3+ phosphor centered at 760 nm. The phosphor was prepared by sol-gel-combustion method. Persistent luminescence from Cr3+ lasted for hundreds of seconds, comparable to the long afterglow from Eu2+ ions in the visible region based on the continuous energy transfer from Eu2+ ions to Cr3+ ions. The introduction of Dy3+ ions into the phosphor further prolonged the afterglow time of Eu2+ and Cr3+ ions through the depth control of the charge traps. The optimum doping concentrations for Eu2+, Cr3+ and Dy3+ were 1%, 2% and 1.5%, respectively. The success in the fabrication of micro-structures in glassy materials using femtosecond laser irradiation has proved its potential applications in the construction of three-dimensional micro-optical components or devices. In this paper, we report the elemental redistribution behavior in tellurite glass after the irradiation of high repetition rate femtosecond laser pulses. The relative glass composition remained unchanged while the glass density changed significantly, which is quite different from previously reported results about the high repetition rate femtosecond laser induced elemental redistribution in silicate glasses. The involved mechanism is discussed with the conclusion that the glass network structure plays the key role to determine the elemental redistribution. This observation not only helps to understand the interaction process of femtosecond laser with glassy materials, but also has potential applications in the fabrication of micro-optical devices. We report that non-contact self-referencing temperature sensors can be realized with the use of core–shell nanostructures. These lanthanide-based nanothermometers (NaGdF4:Yb3+/Tm3+@Tb3+/Eu3+) exhibit higher sensitivity in a wide range from 125 to 300 K based on two emissions of Tb3+ at 545 nm and Eu3+ at 615 nm under near-infrared laser excitation. A novel approach has been proposed to realize enhanced near-mid infrared emission in Ce3 + and Tm3 + co-doped oxyfluoride glasses excited at different wavelengths, whereby Ce3 + absorbs the photons in ultraviolet region and transfers the energy to Tm3 +, while Tm3 + converts the energy in visible and near infrared region into near-mid infrared region. For the purpose to achieve efficient near-mid infrared emission, ligand field theory has been adopted to optimize the glass host composition. The excitation, emission, time-resolved emission spectra and fluorescence decay curves have been measured to investigate the energy transfer (ET) from Ce3 + to Tm3 + and the generation mechanism of near-mid infrared emission. This approach will be of reference value for designing the gain medium of the near-mid infrared laser excited directly by the sunlight. Bismuth is one of the most thoroughly investigated main group elements, which has been regarded as 'the wonder metal' because of its diverse oxidation states and profound propensities to form bismuth clusters, resulting from the easy involvement in chemical combinations for the electrons in the p orbital. This peculiarity allows them to behave as smart optically active centers in diverse host materials. Remarkable progress in the research of bismuth activated photonic materials has been seen over the last ten years owing to their unique properties and important applications in areas of telecommunication, biomedicine, white light illumination and lasers. The aim of this review is to present a critical overview of the current state of the art in bismuth activated photonic materials, their features, advantages and limitations as well as the future research trends. We first shortly introduce the fundamental properties of bismuth element including principles of bismuth-related luminescence and characterization techniques available. This is followed by a detailed discussion on the recent progress in the synthesis and characterization of bismuth-activated photonic materials, with an emphasis on material systems emitting in the near-infrared (NIR) spectral region. Furthermore, we describe the representative achievements regarding their prospective applications in broadband NIR optical amplifiers, fiber lasers, bioimaging, and white light-emitting diodes. Finally, we point out what key scientific questions remain to be answered, and present our perspectives on future research trends in this exciting field of sciences. Localized micro-structure and luminescence property are modified in Ag+-doped phosphate glass with high repetition rate femtosecond laser pulses. Confocal fluorescence spectra show that the luminescence intensity due to fs-laser induced Ag0 gradually increases and then decreases with the decreasing distance from the center of the laser-affected zone. In the inner structure, the intensity ratio of two Raman bands at 708 cm 1 and 1210 cm 1 decreases with the more close to the center of the laser-affected zone. A possible mechanism is proposed to explain the observed phenomena. Transparent glasses imbedded with functional nanocrystals have attracted considerable interest and been studied widely in the past several decades, due to their applications in optical devices, such as optical amplifiers, nonlinear optical devices, optical storage, 3D displays, etc. Femtosecond (fs) laser irradiation induced crystallization of glass has been proved to be a powerful tool to realize the space-selective precipitation of various nanocrystals inside glasses. In this review, we highlight our recent research achievements on the fs laser induced precipitation of nanocrystals inside glasses, including nonlinear optical crystal, upconversion luminescence crystal, high refractive index crystal, and metal nanoparticles. These studies not only help to understand the interaction process between fs laser and glassy materials, but also have potential applications in the fabrication of micro-optical devices. This work reports the mid-infrared emission properties around 2.85 m in a Yb3+/Ho3+ codoped fluoroaluminate glass. This fluoroaluminate glass shows a good thermal stability and high transmittance around 3 µm. The mid-infrared emission characteristics and energy transfer mechanism upon the excitation of the conventional 980 nm laser diode have been investigated. The prepared glass possesses higher spontaneous transition probability (31.77 s1) along with the larger calculated emission cross section (1.91×1020 cm2) corresponding to the laser transition of Ho3+:5I65I7. Besides, the upconversion, 1.2 m and 2 m fluorescence spectra were measured to understand mid-infrared emission behavior together with decay curves of Ho3+:5I6 level. Moreover, energy transfer microparameters between Yb3+ and Ho3+ were calculated and discussed based on Dexters model. Hence, the advantageous spectroscopic characteristics of Yb3+/Ho3+ codoped fluoroaluminate glass as well as the good thermal property indicate that this kind of glass is an attractive host for developing mid-infrared solid state laser. An efficient broadband excited near-infrared to visible up-conversion is observed in LaF3:Ho3+ as the result of a two-wavelength excitation. The visible up-conversion emission intensity is greatly enhanced upon simultaneous excitation at 970 nm and 1150 nm, due to an energy transfer up-conversion mechanism. Multi-wavelength excitation based on the ground-state absorption, excited-state absorption, and phonon-coupled absorption of rare-earth ions results in an efficient broadband excited up-conversion emission, which may provide a new approach to fully harvest NIR solar energy and has potential application in solar cells. Up-conversion luminescence in rare earth ions (REs) doped nanoparticles has attracted considerable research attention for the promising applications in solid-state lasers, three-dimensional displays, solar cells, biological imaging, and so forth. However, there have been no reports on REs doped nanoparticles to investigate their polarized energy transfer up-conversion, especially for single particle. Herein, the polarized energy transfer up-conversion from REs doped fluoride nanorods is demonstrated in a single particle spectroscopy mode for the first time. Unique luminescent phenomena, for example, sharp energy level split and singlet-to-triplet transitions at room temperature, multiple discrete luminescence intensity periodic variation with polarization direction, are observed upon excitation with 980 nm linearly polarized laser. Furthermore, nanorods with the controllable aspect ratio and symmetry are fabricated for analysis of the mechanism of polarization anisotropy. The comparative experiments suggest that intraions transition properties and crystal local symmetry dominate the polarization anisotropy, which is also confirmed by density functional theory calculations. Taking advantage of the REs based up-conversion, potential application in polarized microscopic multi-information transportation is suggested for the polarization anisotropy from REs doped fluoride single nanorod or nanorod array. The Cr3+-Yb3+ codoped YAG crystals were synthesized by the solid state reaction method, in which the intense near-infrared emission around 1000 nm originated from Yb3+ 2F5/22F7/2 transition was obtained due to the efficient energy transfer from Cr3+ to Yb3+. The stable and transient spectral measurements revealed that the phonon assistant energy transfer process is responsible for the energy transfer from Cr3+ to Yb3+ upon both the excitations of Cr3+: 4T1 and 4T2 energy levels. Due to the effective absorption of Cr3+ in the visible region in YAG and the efficient energy transfer to Yb3+, this material can be developed as spectral convertors to improve silicon solar cell photovoltaic conversion efficiency. Localized microstructure and elemental redistribution were induced in bismuth germanate glasses by irradiation with high repetition rate 800 nm femtosecond laser pulses. The confocal Raman spectra were examined to study the redistribution of elements and residual thermal stress. The microscopic Raman spectra indicated that the residual thermal stress increases from the unmodified region to the center of the laser modified region, while Bi is enriched at the boundary area of the inner structure of the laser modified region relative to Ge. Electron microprobe analysis further confirmed the elemental redistribution of Bi and Ge, which agrees well with the Raman spectral analysis. Copyright © 2012 John Wiley & Sons, Ltd.
A novel approach has been developed for the realization of efficient near-infrared to near-infrared (NIR-to-NIR) upconversion and down-shifting emission in nanophosphors. The efficient dual-modal NIR-to-NIR emission is realized in a -NaGdF4/Nd3+@NaGdF4/Tm3+–Yb3+ core–shell nanocrystal by careful control of the identity and concentration of the doped rare earth (RE) ion species and by manipulation of the spatial distributions of these RE ions. The photoluminescence results reveal that the emission efficiency increases at least 2-fold when comparing the materials synthesized in this study with those synthesized through traditional approaches. Hence, these core–shell structured nanocrystals with novel excitation and emission behaviors enable us to obtain tissue fluorescence imaging by detecting the upconverted and down-shifted photoluminescence from Tm3+ and Nd3+ ions, respectively. The reported approach thus provides a new route for the realization of high-yield emission from RE ion doped nanocrystals, which could prove to be useful for the design of optical materials containing other optically active centers. In the last decade, revolutions in photonic material design and large-area nanostructure fabrication have given researchers and technologists tools to enable a new era of ultrahigh-efficiency photovoltaics. Quantum cutting has received much attention as a potential approach to enhance the photovoltaic conversion efficiency of solar cell in the recent decades. In this article, we review the phenomena, mechanisms, and design of the quantum cutting processes, focusing on the promising applications of the transparent glasses and glass ceramic materials as the down-converter of solar spectrum. We discuss the gaps between the current theoretical analysis and the practical applications of the quantum-cutting materials. To concave the negative effects of using the quantum-cutting materials as a down-converter on the front surface of the solar cell, much attention should be given to the choice of material and improvement of the material properties as well as the integration of photonic nanostructures and circuits on the solar cell. The success in construction of three-dimensional micro optical components or devices inside transparent materials is highly dependent on the ability to modify materials' local structure. Especially, the realization of space-selective manipulation of element distribution is highly desirable since most of optical parameters such as refractive index and luminescence are closely related to element distribution. Up to present, the only way to control selective element distribution is local melting of glass. Here, we reported, for the first time to our knowledge, the success in realization of space-selective manipulation of element distribution in glassy state region (i.e., un-melted region) inside glass with the irradiation of high repetition rate femtosecond laser. Confocal fluorescence spectra and micro-Raman spectra show that the luminescence distribution of Cu+ ions and the glass network structure can be controlled with femtosecond laser irradiation, revealing the potential applications of this technique in the fabrication of functional waveguides and integrated optical devices. We report on spectral modification from visible to near-infrared (NIR) in Pr3+ and Yb3+ codoped oxyfluoride glass for c-Si solar cell. The excitation and emission spectra indicate the energy transfer from Pr3+ to Yb3+. The theoretical quantum efficiency is calculated based on the fluorescent lifetime and has reached more than 150%. However, the external quantum efficiency (EQE) of the Pr3+ and Yb3+ codoped glass covered on silicon solar cell is decreased compared to that of the host glass. The reasons of the negative effect of spectral modification on EQE are discussed and analyzed. The design and preparation of luminescent drug carriers has been a prosperous area of research for many years. However, the excitation and/or emission wavelength of such luminescent drug carriers havent been optimized in the so-called human 'near infrared (NIR) optical window', thus restricting their practical applications. Herein, we report the synthesis of electrospun porous YAG:Nd3+ (neodymium-doped yttrium aluminum garnet) fibers with both excitation and emission in the 'NIR optical window' as luminescent drug carriers. The YAG:Nd3+ porous fibers were characterized by SEM, TEM, XRD, scanning transmission electron microscopy–energy-dispersive X-ray spectroscopy (STEM-EDX), and photoluminescence (PL). Ibuprofen (IBU) was used as a model drug to evaluate the drug-loading capacities and release profiles of the samples. BMSCs (bone mesenchymal stem cells) were used as model human cells to investigate cytotoxicity. Our results indicated that the YAG:Nd3+ fibers possessed a fine, irregularly porous fibrous morphology with an average diameter of 378nm. The florescence of the sample (1064nm) could be excited over a wide wavelength range in the NIR region. During the release process of IBU in simulated body fluid (SBF), along with the dissolving of the drug, the solvent entered into the pores, and the emission intensity of the YAG:Nd3+ fibers at 1064nm decreased gradually, owing to a quenching effect of the hydroxy groups, thus provided an approach to track and monitor drug release. In addition, cytotoxicity investigations revealed that these YAG:Nd3+ fibers were biocompatible with human cells. Consequently, the porous YAG:Nd3+ fibers are a promising material for applications as advanced drug carriers. Here for the first time, we report an unusual annealing temperature dependent near-infrared (NIR) luminescence quenching and reviving behavior in Bi-doped MgO-Al2O3-GeO2 glasses. Systematic characterizations of the samples by using differential thermal analysis (DTA), photoluminescence and absorption spectra, X-ray diffraction (XRD) and transmission electron microscopy (TEM) indicate that this phenomenon is associated with the reversible reaction of Bi+ and Bi0 initiated by the change of local glass structure. Excitingly, wavelength tunable luminescence is also observed and it can be ascribed to selective excitation of active Bi+ center in different sites. These results not only open a new way for controlling luminescence properties of main group elements in glass but also provide great value for improving practical active-fiber drawing process. As wound cover, electrospinning-derived organic polymer nanofibers usually cannot bear calcinations to remove contaminants from wound for regeneration of their functionality, thus are not reusable. In this investigation, we make an exploration of inorganic SiO2 nanofibers as reusable wound cover. SiO2 nanofibers here are fabricated with the sol–gel technique and the electrospinning method. Silver nanoparticles (Ag NPs) are grafted on fiber surface through post treatment to endow this material with antibacterial effect. Our results demonstrate the SiO2 nanofibers are very soft and flexible. They can be conveniently patterned into nonwoven film (the required shape of wound cover). The Ag NPs grafted SiO2 nanofibers can efficiently inhibit the proliferation of Escherichia coli with a long-term antibacterial effect. More importantly, this inorganic antibacterial wound cover can be renewed through calcinations without lost of its flexibility and antibacterial effect. Consequently, the Ag NPs grafted SiO2 nanofibers in this investigation are very suitable to be applied as reusable wound cover. irradiated bismuth-doped Y4GeO8 crystals. The luminescence was bleached completely after thermal treatment at 350C for 2 h.
P0 transition of Biþ ions is responsible for the near-infrared emission. The effect of Bi concentration on the luminescence properties of c-ray irradiated samples was also discussed. In this paper, we report on a novel strategy for the preparation of silver nanoparticle-doped SiO2 microspheres (Ag-SMSs) with an interesting strawberry-like morphology using a simple and efficient electrospraying method. SEM (scanning electron microscopy), TEM (transmission electron microscopy), XRD (x-ray diffraction), EDS (energy-dispersive spectroscopy) and UV–vis spectra (ultraviolet–visible spectra) were applied to investigate the morphology, structure, composition and optical properties of the hybrid microspheres, and E. coli (Escherichia coli) was used as a model microbe to evaluate their antibacterial ability. The results showed that the Ag-SMSs were environmentally stable and washing resistant. The Ag-SMSs exhibited effective inhibition against proliferation of E. coli, and their antibacterial ability could be well preserved for a long time. The environmental stability, washing resistance, efficient antibacterial ability and simple but productive preparation method endowed the Ag-SMSs with great potential for practical biomedical applications. In this paper, we propose a novel strategy for the preparation of flexible mesoporous SiO2 fibers containing silver nanoparticles (Ag-cSiO2@mSiO2) as an effective wound dressing. The Ag-cSiO2@mSiO2 was core–shell structured, composed of a condensed electrospun SiO2 nanofiber doped with Ag NPs (silver nanoparticles) and a mesoporous SiO2 shell. Due to a high specific surface area and large pore volume, the Ag-cSiO2@mSiO2 can substantially absorb exudates, the absorption capacity for water and SBF (simulated body fluid) reached 267 wt% and 254 wt% of the sample, respectively. Additionally, the mesopores can also act as hosts for the accommodation of drugs. The Loading capacity of IBU (ibuprofen) reached up to 18 wt% of the sample, and its release was relatively fast, more than 85% of the drug was released within 12 h. The condensed core of the SiO2 nanofiber not only endowed the sample with a high flexibility, but also slowly released silver to possess a sustained antibiotic effect. Considering its effective exudate-absorption ability, dual drug-release profiles (fast release of IBU and sustained release of silver), together with its chemical and physical stability, biocompatibility and high flexibility, Ag-cSiO2@mSiO2 could be a promising wound dressing material. In this paper, we report on a novel design strategy of an efficient sorbent for removal of trace contaminants from water. This kind of sorbent is composed of a nonporous core of SiO2 nanofiber and a mesoporous shell (denoted as nSiO2@mSiO2 ('n' means 'nonporous' and 'm' means 'mesoporous')). The nSiO2@mSiO2 fiber possesses a continuously long fibrous shape and mesoporous micromorphology, thus, showing both high sorption capacity and separability. The flexible nonporous SiO2 nanofiber was prepared with electrospinning first, followed by covering a mesoporous SiO2 shell based on a modified Stöber method using CTAB (cetyltrimethylammonium bromide) as the directing agent for formation of the mesopores. Also, functional thiol groups were grafted on the nSiO2@mSiO2 to enhance its performance. With a large specific surface area and long fibrous morphology, the nSiO2@mSiO2 fiber and its thiol-functionalized counterpart exhibit impressive performance on removal of Pb2+ and Cd2+ from water. Furthermore, the flexible texture and fibrous morphology of the nSiO2@mSiO2 fiber also made the removal of metal ions and the separation process more convenient and efficient, implying that the nSiO2@mSiO2 fiber could have great potential for industrial applications. The ultraviolet to near-infrared spectral modification in Ce3+ and Yb3+ codoped phosphate glasses was realized through the energy transfer from Ce3+ to Yb3+. The absorption spectra, fluorescence excitation and emission spectra, luminescence decay curves, and time-resolved emission spectra were measured and analyzed. The energy transfer efficiency and concentration quenching efficiency were calculated based on the decay curves of Ce3+ 340 nm emission and Yb3+ 976 nm emission. The calculated and experimental NIR emission intensities on the Yb3+ concentrations were compared and discussed. Transparent glasses containing copper nanoparticles are promising materials for ultrafast all-optical switches in the THz region due to their wide range of resonant absorption frequencies, ultrafast time response, as well as large third-order nonlinear optical coefficients associated with the surface plasmon resonance (SPR) in the visible region. In this paper, three dimension controllable precipitation of copper nanoparticles inside a borosilicate glass by irradiation of femtosecond laser pulses is studied. According to the designed program, different patterns made up of copper nanoparticles can be induced inside the glass sample. Absorption spectra are used to confirm the precipitation of copper nanoparticles. The precipitated nanoparticles can be space-selectively 'dissolved' by the second time femtosecond laser irradiation. The involved mechanisms are discussed. The laser technique of internal engraving in glass has been developed in two stages,namely,traditional white internal engraving and modern colored internal engraving.Traditional white internal engraving is formed by scanning pulsed laser when the light intensity at the focal point inside the transparent glass is much higher than the glass damage threshold,resulting in the formation of micro-cracks near the focal point of the laser beam.Three-dimensional white color internal engraving is realized due to the light scattering of the micro-cracks.The laser techniques of modern colored glass internal engraving involve space-selective control of color centers,valence state manipulation and precipitation of metal nano-particles.Recent developments on the laser techniques of glass internal engrave are introduced,and the future studies are discussed. Broadband spectral conversion from visible light to near-infrared radiation in Ce3+–Nd3+/Yb3+ codoped yttrium aluminum garnet is reported. Excitation, emission spectra, and decay curves have been measured to prove the energy transfer from Ce3+ to Nd3+ or Yb3+. The energy transfer efficiencies have been estimated, and the mechanisms of the energy transfer between Ce3+ and Nd3+/Yb3+ have been proposed. Ce3+–Nd3+ codoped YAG can obtain more effective emission in the desired near-infrared region (around 1100 nm) through broadband conversion, showing potential application to improve the conversion efficiency of Si solar cells. SrAl2O4SrAl2O4 phosphors co-doped with Eu2+Eu2+ , Dy3+Dy3+ , and Nd3+Nd3+ ions are synthesized through a citric acid assisted sol-gel combustion process. The crystalline phases and crystallinity of the synthesized phosphors are studied by X-ray diffraction analysis. Strong persistent phosphorescence at 882nm882nm is observed as a consequence of irradiation by ultraviolet light at 370nm370nm due to the persistent energy transfer from excited Eu2+Eu2+ ions to Nd3+Nd3+ ions. The optimum doping concentration of Nd3+Nd3+ ions is estimated to be 2%2% , when the concentration of Eu2+Eu2+ and Dy3+Dy3+ ions are 1 and 1.5%, respectively, considering the energy transfer efficiency and the near infrared phosphorescence intensity.